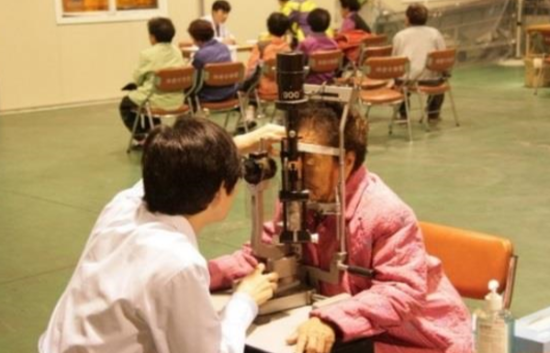 Daegu Fatima Hospital gave the medical assistance for farmers in the Bank of the National Agricultural Cooperative Federation (Nonghyup Bank) of Sandong, Moongyeong City. The 13 medical team of doctors (Internal Medicine, Ophthalmology and Orthopedics), pharmacist and assistants of medical teams gave free treatments to 110 residents. Since farmers were busy and lived far away from medical facilities, the hospital provided the medical free treatments and simple surgeries and taught the prevention against diseases to them. The hospital is going to continue to help the promotion of their health as well as improve the quality of their lives.